Before having Aria I hadn't really thought about how my maternity leave days after her birth would be; I was more focused on the getting her out part and the first few weeks. But, every mum out there knows how quickly those early days pass and before you know it, daddy's back at work, the baby is a couple of months old and you find yourself sitting there daydreaming about having a conversation with an adult....even for just 5 minutes. I've got some lovely 'normal life' friends but they all work full time, only a few of them have kids and do they really want to sit and listen to me talk about how tired I am each week? Probably not. 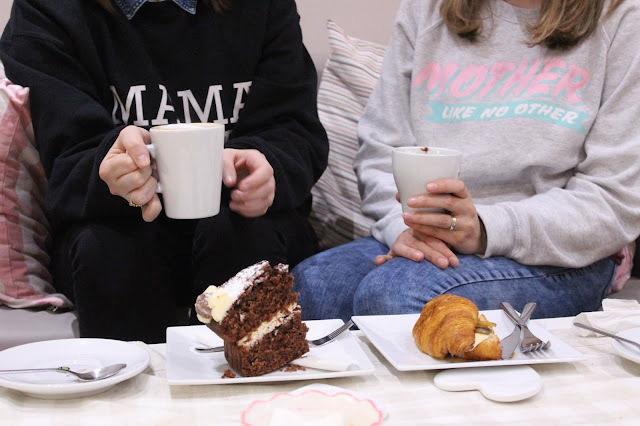 So, how do I meet other mum's in the same boat as me? Back in August 2016 I spotted an advert in Gurgle magazine about Mush and thought I'd try it out. 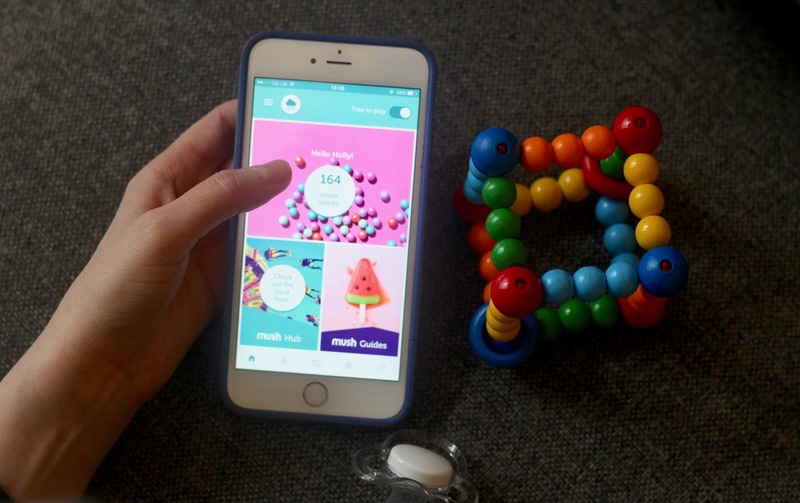 Mush is an app that helps you find local like-minded mamas; you can search for mums using various parameters, for example, children's ages, interests, mama's ages and distance from your location. I use apps for a lot of things in life; boiling an egg, sharing photos of my life, tracking my pregnancy, banking.. the list goes on and on so, for me it seemed like the ideal way of meeting other mamas (or mamas to be at that point) local to where I live. 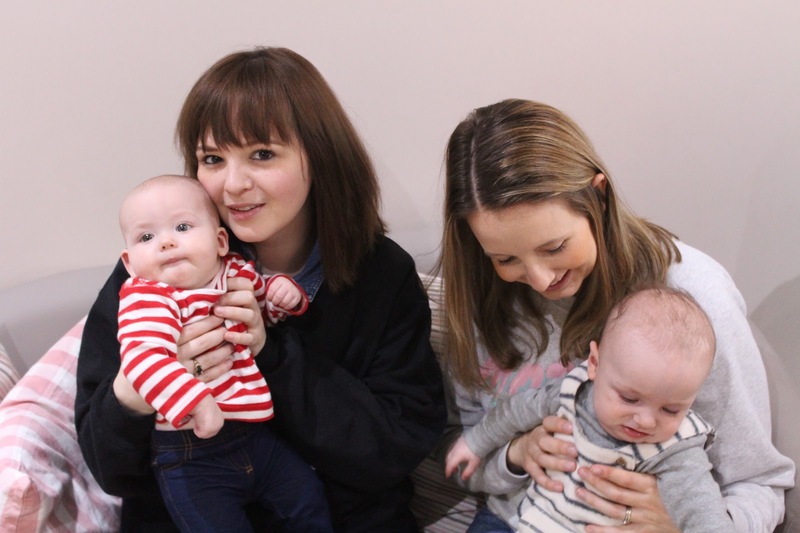 Once I'd dowloaded the app, set up my profile and added my location I then began to scroll through some of the other mums close by to me; checking out whether they'd already had their babies and whether we had any interests in common. I added a few of the ladies I came across in the first hour of being on the app and not long after a message popped up in my Mush inbox from a girl called Hannah. It read " Hello :) I've not done this before but seen your due at the same time as me..plus I also live in (postcode prefix)" - Hannah and I then went on to have a bit of a chit chat about whether we knew if we were having boys or girls, how long we were having off work and also a bit more specific about where each other live. We also swapped Instagram handles so we could spy on each other through photos. Fast forward to October; me and Hannah had both had our babies and we got in touch again to arrange to meet up; admittedly I was a little nervous before meeting Hannah as I'd been out of touch with the real world for a few weeks but when we met for a cuppa and chats at Costa and instantly hit it off. 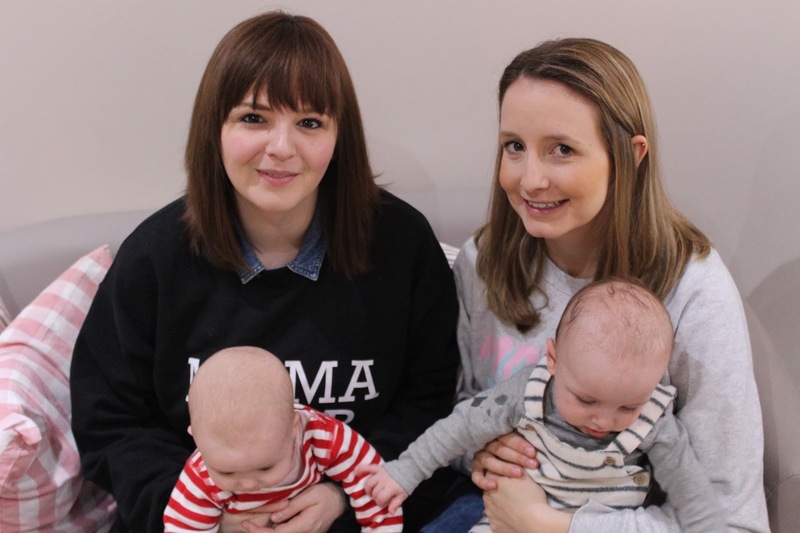 We've got the same dry, sarcastic sense of humour,we both have very similar views on parenting and importantly, we both are the type to just be happy with relaxing at our houses with the babies, snacks and cups of tea. Having Hannah as a friend since meeting her on Mush has been pretty amazing; she's a second time mum which I find refreshing as she's more relaxed and her approach to how she raises her children encourages me to just go with the flow. I admire how motivated she is and how she juggles being a mum and wife whilst still having time to spend time with her mum friends each week. She's one of the people I turn to when I need to have a rant, when I need advice and just when I need some words of encouragement when mumming gets hard! Since becoming Mush friends Hannah, me and the babies have been swimming, danced around like idiots at a baby rave, spent numerous afternoons shopping and found playgroups to go to together. We've sat and chatted in numerous coffee shops together, I've cried on Hannah, she's looked after Aria for me when I went on a first aid course, we've chatted during the night and made lunch for each other when the mornings have just been hard work and food is the last thing we think about. Although Hannah and I live about 5 minutes walk from each other our paths wouldn't have ever crossed; we don't go to any of the same baby groups and we haven't got any friends in common.. so, thanks to Mush I've gained a mum friend who adds fun to my weeks and of course the little babies will grow up playing together and hopefully be life long pals! Have you downloaded Mush yet? If you have then tell me about the mum friends you've made! If you haven't downloaded it yet then click here (if viewing on your phone) or visit the app or google play store to download it.